Alpha Background Investigations: Why use ABI? There are more than an estimated 80,000 cases of identity fraud each year. In fact, the average organization loses more than 6% of its annual revenue to fraud and abuse. And a shocking 30% of business failures are due to poor hiring practices. 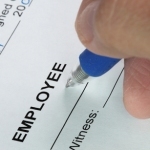 Why waste your time training employees who will leave or be terminated? ?